Unpack is a perfect solution for all kinds of businesses from corporations, shop owners and small businesses to startups, artists and bloggers. 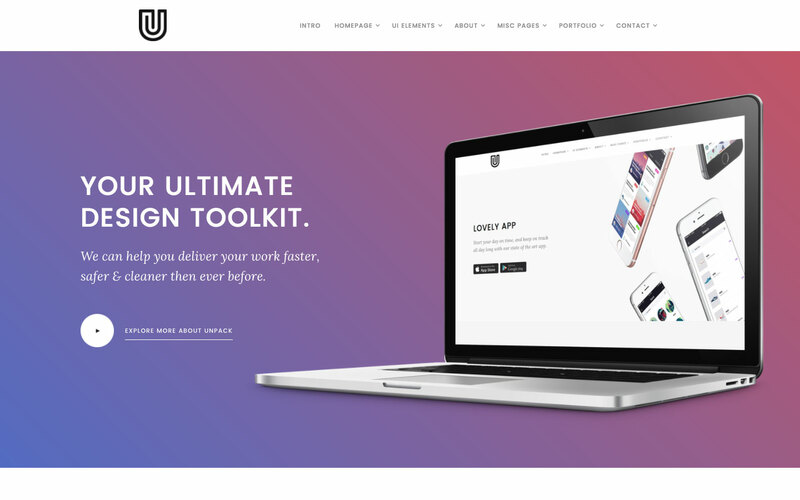 Unpack UI Kit Webflow template gives you the power to create a unique-looking website with an easy-to-use drag and drop page builder that's fully responsive, retina-ready, and SEO-optimised. You can also choose from 15+ agency website templates and over 200+ components as a quick start. 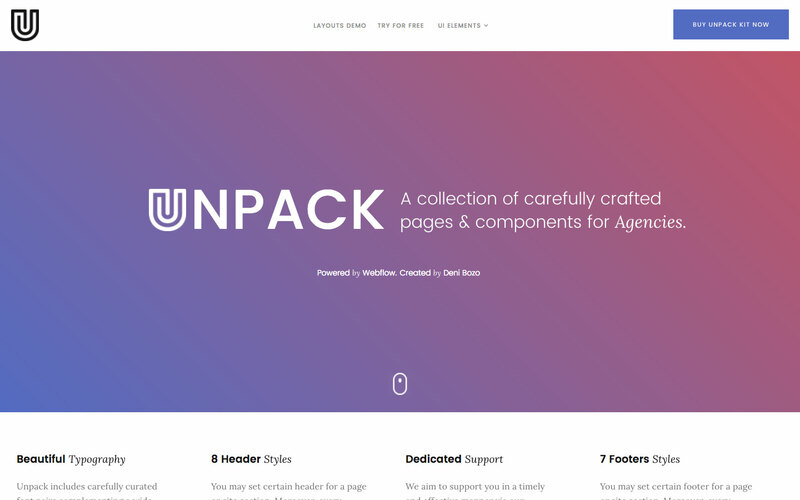 11 Homepage's Layout – Unpack comes with 11 different homepage and 11 unique hero sections that can easily be dropped into any section of any page. 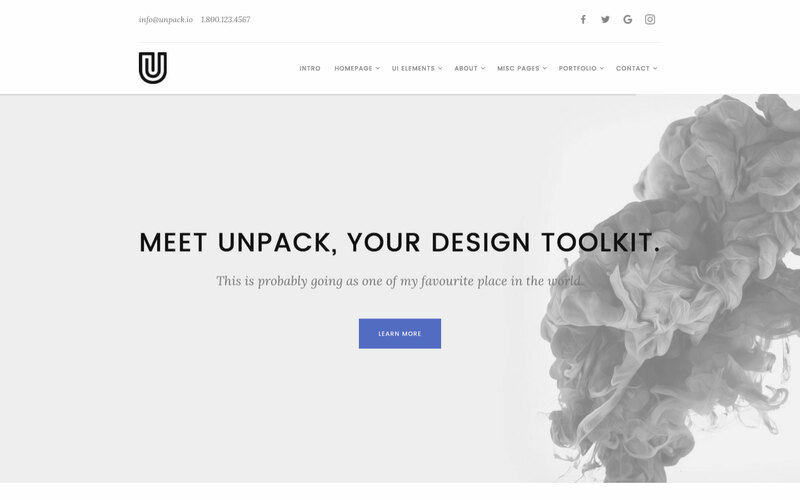 200+ Components – Make any design stand out by using a combination of the 20+ components that come with Unpack. Accordions, tabs, buttons and much more. 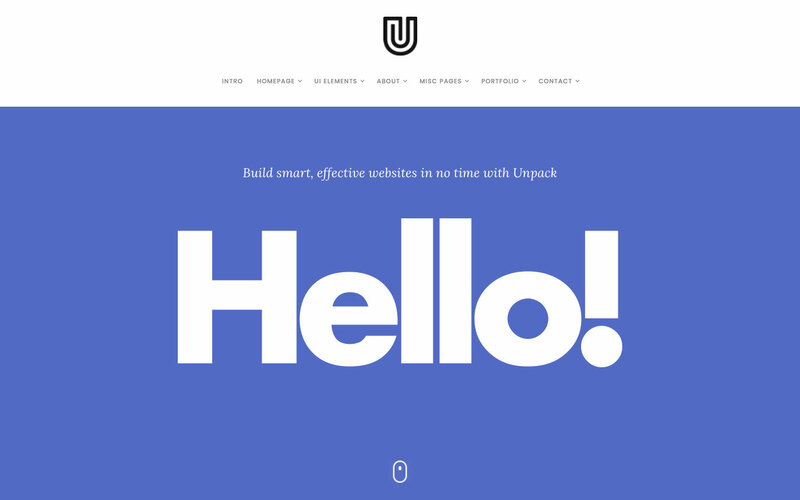 Ultimate Startup Pack – Unpack is a great starting point for landing page that need a quick and simple solution when it comes to creating a site. Save both time & money. 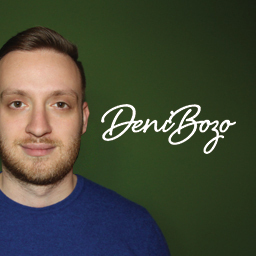 Beautiful Typography – Includes carefully curated font pairs complementing a wide range of design styles allowing you to completely change the look and feel to suit your needs. Infinite Possibilities – With a range of pre-design content blocks, components and plugins, Unpack provides you with an unlimited number of possibilities. Dedicated Support – We aim to support you in a timely and effective manner via our dedicated support system. Static/Fixed Navigation – you have the option to select between two different types of header. 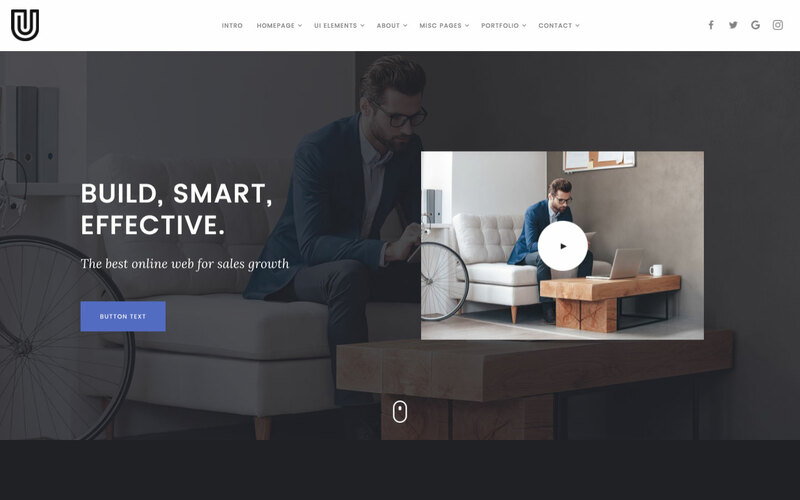 Fully Responsive – Unpack is a fully responsive template and works perfectly on all screen sizes and mobile devices. Working Contact Form – the elements of the contact form is perfectly styled and very easy to customize it. Clean Code – the code is well written using the best resources available and also all the files are well commented to make your work much easier. Browser Compatibility – this template supports all the major browsers including IE9+, Chrome, Safari, Firefox. Detailed Documentation – on how to use the template and it’s features. Plus you can always contact us if you have any queries. All the images in this template can be used for personal or commercial use except for the images listed below, which have only been used for demonstration purposes. If you wish to purchase a licensed image for commercial purposes, please follow the link provided next to the image.